So with all the love and excitement in our hearts drum roll – we are releasing the zine on Dec 12th, 2015. But you can pre-order a copy (or more) @ Rs 350, and save on delivery costs. INDIA’s FIRST GRAPHIC ANTHOLOGY OF QUEER NARRATIVES IS HERE! The edition contains exciting graphic stories that have captured a truth from personal experiences, expressing values that are felt deep down to the core. They have been written and drawn from the artists’ own politics and sensibilities of what is Queer to them. When Gaysi conceived the dream of creating this anthology, we had no idea what it’d be like. We had no clue about the guidelines we should give to artists and storytellers. We even wondered if Queerness makes people see a different world or whether the world sees queerness differently. Does it produce different realities? Comics and graphic stories are a powerful tool of storytelling. Graphic narratives make a beautiful balance between the visible and the invisible. They create a kind of call and response in which the artist gives you something to see within the panels, and then gives you something to imagine between those panels. A lot is said through the affective connotations of the pictures presented. Some stories evoke the experience of travelling to the inner recesses of human mind by employing the stream of consciousness in its account, while some start to see the way one view’s the world, the way life is experienced. And that is where we feel the connection. That’s why, we at Gaysi believe that there’s no story you cannot learn to love once you have heard it. In our humble opinion, this edition is an experience you don’t want to miss and trust us – it’s a great gift for your friends, nieces, nephews, special someone(s), parents, uncles, and colleagues. So do order more copies and spread the glorious queer tales around us all. With this issue, we hope that there will be people who read this and get inspired to tell their stories. We hope the world rings with more queer voices. 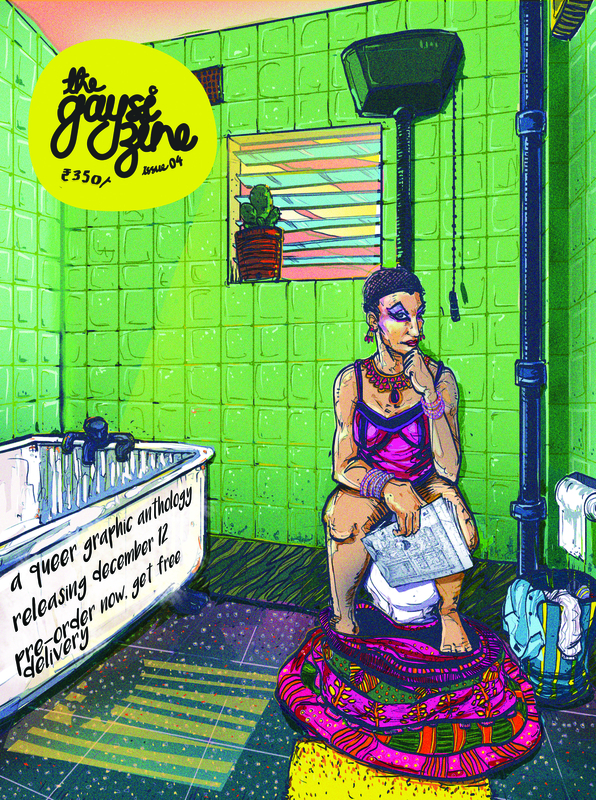 For Deliveries Outside of India : Please write to us at gaysifamily@gmail.com with the subject line ‘Booking The Gaysi Zine – mention the number of copies’, and we will take it forward from there.